Here’s a simple but healthful and umami-packed dish for a meatless Monday. It’s my take on the Japanese nasu dengaku, roasted eggplant dressed in a sweet miso glaze and garnished with scallions and black and white sesame seeds. My favorite way to eat it is to let it cool to room temperature and enjoy it with a little glass of cold beer. It’s a perfect way to chase off any Monday blues. Cheers! Preheat the oven to 425 F/ 210 C. Line a baking sheet with parchment paper. Toss the eggplant cubes with the oil and sea salt in a large bowl, then spread evenly over the parchment paper (use two baking sheets if necessary). Roast for 20 minutes, or until the eggplant is slightly browned on the edges. Meanwhile, mix the sweet miso dressing together, and after the eggplant has roasted for 20 minutes, toss it with the dressing. Return to the oven and continue roasting for another 10 to 15 minutes, or until eggplant is tender throughout. Meanwhile, toast the sesame seeds in a clean saute pan (no oil). Watch the white seeds to know when they are toasted, not burned, after just a few minutes of heating over low to medium heat. 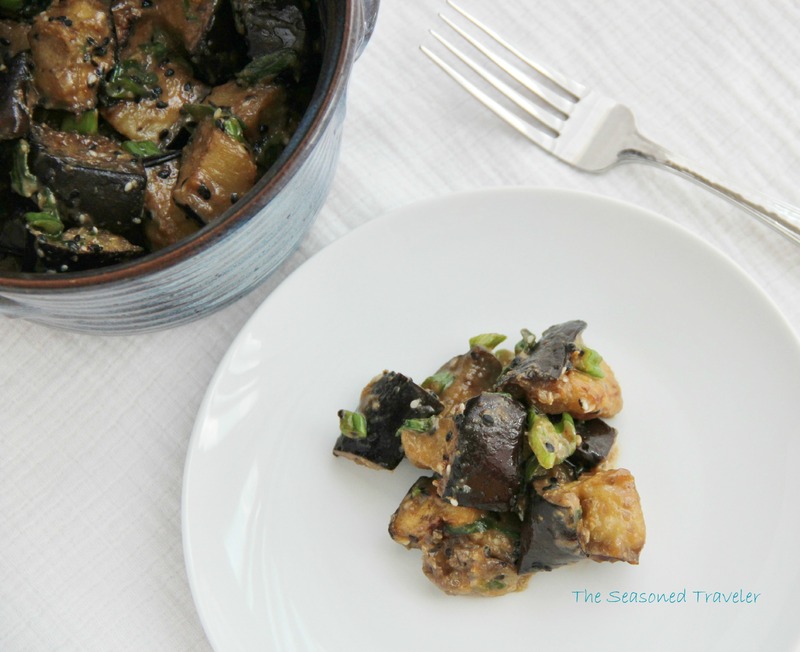 Transfer the eggplant to a serving bowl and mix with the chopped scallion and toasted sesame seeds. For optimal flavor, let it sit for 20 to 30 minutes to cool to room temperature. oh yum, I wish I had some eggplant now, you always have tempting recipes here. That looks so good, eggplant is my fav food !! Looks amazing Laura, Love eggplant. Loads of umami! 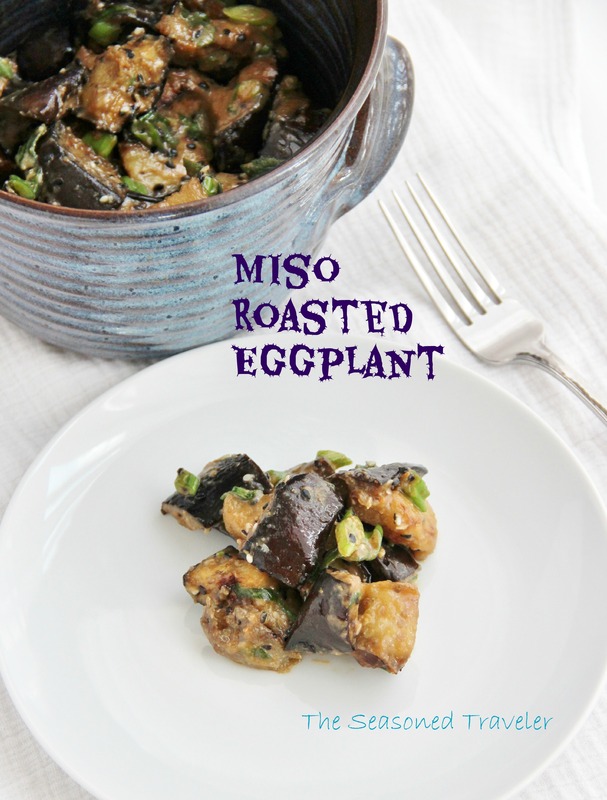 I love miso and am always looking for new ways to use it besides in soup. This looks so goooooooood! Natsukashii nasu dengaku. I would love to eat it with piping hot gohan. Tabeta~i!